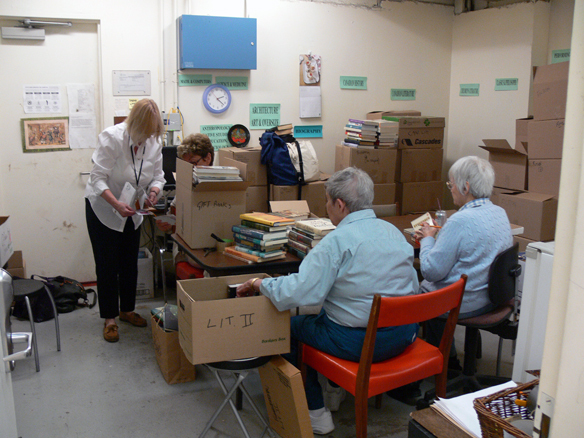 After a successful book sale last September and a holiday break, we are ready to get back to our usual weekly sorting and pricing. As you may remember from or previous posts, the preparation for the annual book sale takes place all year, with the exception of December, when we take a break. We have also decided to resume blogging, as over half a thousand visitors enjoyed our posts in the past. Beginning this month, we will publish new posts once a monthâ€”look for them in about the middle of each month. We are already looking forward to another booksale at Victoria College and hope you are too! On behalf of all Friends of Victoria University Library, we wish you a happy new year.